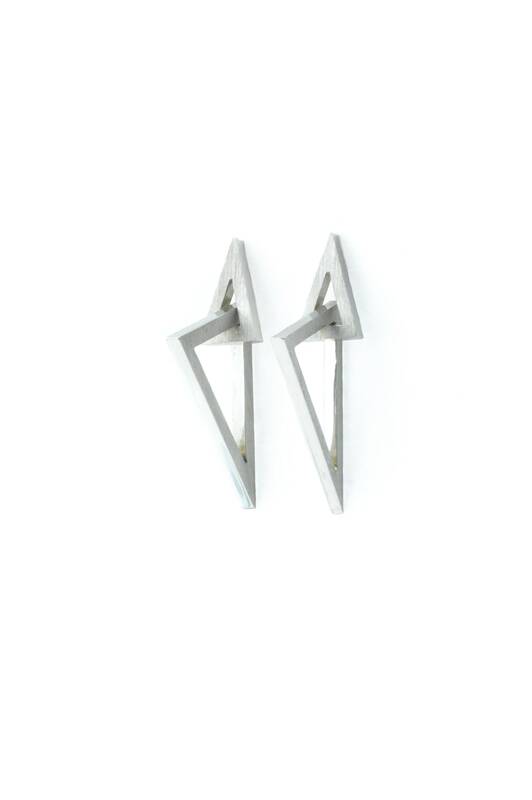 The Balance earrings are named after the two balancing triangles they feature. 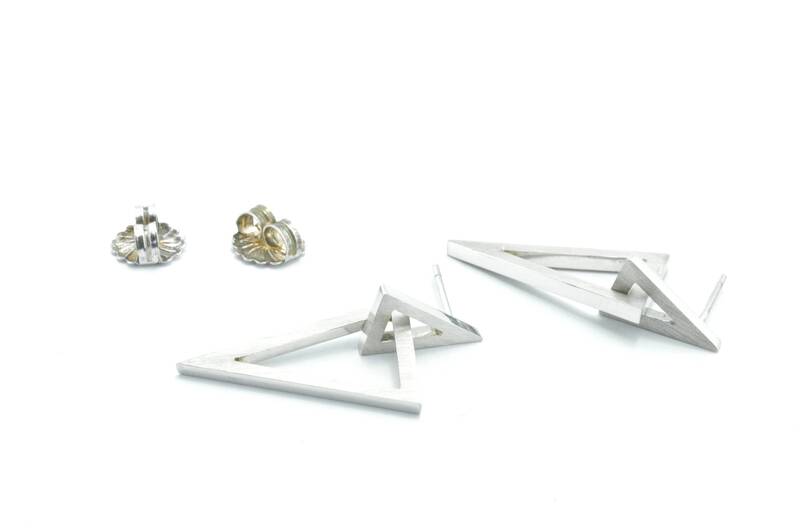 Made with sterling silver they represent a collaboration of male and female power. From the Nomad collection.